Reputations have to be earned, no one can hand you one. 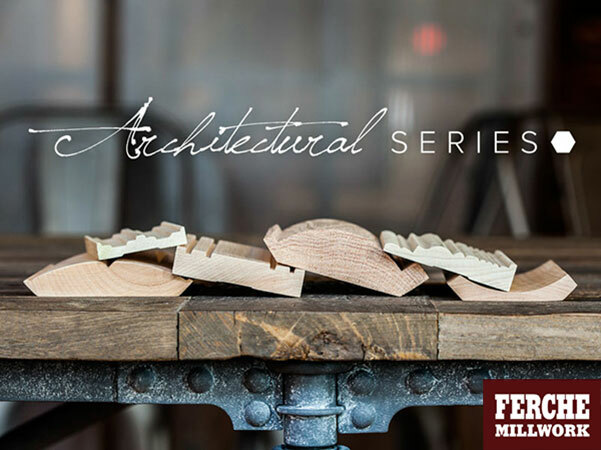 Since its beginning in 1958, Ferche Millwork, Inc. has grown to be internationally recognized for its quality and service and has since set the standard for the hardwood moulding industry. Ferche Millwork not only offers the finest in standard hardwood mouldings, but will produce any custom shaped moulding to your specifications. Red oak is the most common species used in our products, but any hardwood is available at your request. The newest technologies, the finest equipment and a conscientious work force combine to make Ferche Millwork the most respected name in hardwood mouldings. Click here to visit the Ferche Website.